Red Robin’s return to wax once again begs the question, why did 80s rub-a-dub ever fall out of fashion? Read on as The Groove Thief weaves together a track-by-track review with an exclusive interview: label founder Red Robin. The dark streetwise production approach throughout Bobby Was A Gangster / Ravers Party 12” creates a foreboding tension, recalling that equally restless era in the dance hall. 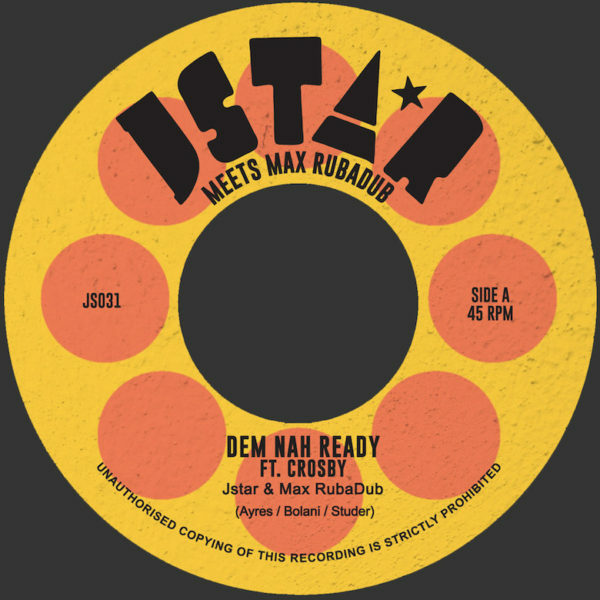 Label partners Naram and Red Robin set out to rekindle that vibe through their inspired riddims and vocalists. 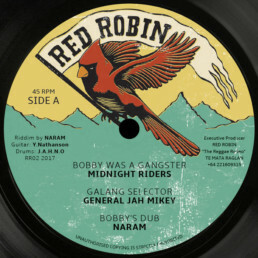 Besides retaining Midnight Riders from the first release, there’s a new set of talented veterans in Junior Cat and General Jah Mikey; the latter appears on each side of the release, impressively wielding the techniques of deejay and then singjay. TGT: For the riddims, how does the creative process work with Naram? Red Robin: Naram will come up with a sketch of about one-minute-thirty with the Red Robin label in mind. What’s humorous about this is that of late he is sending these sketches from all over the globe – Slovenia, Mexico, Dubai, southern France, northern U.K. – and often I am listening to them on my phone out on the land. We discuss its feel and some musical ideas around the riddim. 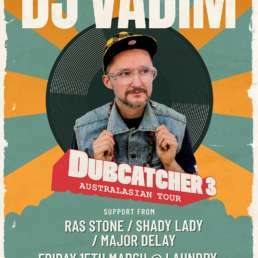 He then takes it through to a full-length riddim of around three minutes, nowadays often with live bass, guitar, and drumming. During that short period we start to think of artists we could get to voice it and my job is to link with them and create some vibes. These are either singers or deejays because we release 12″s with one singer and one deejay per side of the record. Once the vocals are recorded Naram starts the editing process of arrangement and often again records some additional instruments. This part of the creative process is probably the most surprising for me because Naram usually comes back with ideas or results that are very impressive. 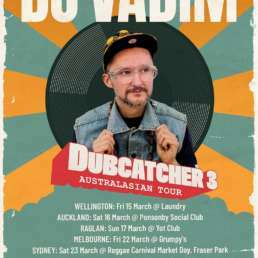 From there the song is usually complete and Naram starts to play it live and its distributed on dubplate to a handful of sounds worldwide. Lawns niced up, clashes won, crowds rocked – another champion sound session, and an in-the-pocket delivery to prove it. Wrapping up the side, Naram’s tough “Bobby’s Dub” allows the vocal to cut through at points, enabling the riddim to ride free in between. TGT: How did the double-feature for General Jah Mikey come about? Was that the original plan? Red Robin: Well the vocals came about from Naram who had been working with General Jah Mikey on a bunch of recordings over the last few years. Jah Mikes is a real behind-the-scenes reggae veteran since the early 80s until now. From the studio to live performance, he is very versatile in his work in the industry and on the mic. Naram and his original plan was to possibly showcase this in an EP. I believe he voiced “Ravers Party” as a singer on the original Outta Road riddim that Midnight Riders did and then Naram rebuilt that to what it is today. Then he recorded “Galang Selector” as a deejay cut which also made its way onto the 12″. I guess there was no real plan. It just shook down this way and it’s great to showcase this tremendously talented artist in this way on one piece of wax. ⇒ “Ravers Party” then, on a more driving riddim – weighted by a truly thick bass – is a pure party track. All about feeling nice, so deceptively mellow, this strong b-side embraces an important aspect of the culture for the label. Red Robin: To represent the rub-a-dub era, I guess that we just try not take it too seriously. We ain’t gonna change the world with this music and listening back to the tapes and records from then they seemed to mainly want to entertain their crowd. So that’s a big factor for me, entertainment. TGT: Based on the press, it seems that the Junior Cat cut just might be your favorite? Red Robin: Haha, I’m not sure I have a clear favourite on the 12″ but yes, I do really like the Junior Cat’s “Ram Dance Posse” piece. This was organised by Colonel Mustard almost two years ago and also recorded on the Outta Road riddim then rebuilt by Naram. I love this kind of song, lyrics galore on a deadly riddim which musically cuts through on the sound. This one is possibly the most tried and tested sound system tune on the release and it is without argument that Junior Cat is nothing shy of world class. ⇒ That ‘deadly riddim’ – led by its aforementioned bass plus a haunting synth line, taking center stage on “Raver’s Dub” – is another uncluttered dub take by Naram. Eschewing trickery for potency. Also worth checking out is his recently released One Shot of Vodka release for Jahtari, a 7” collaboration with Art featuring Peter King on the mic. Enjoyed this piece? Make sure to check out The Groove Thief and Red Robin’s earlier chat, plus a full review, about the label’s debut Outta Road / Dem A Fraud 12”. .the future of dub is the present.